Few things are as important to any person than protecting their family. There are countless steps you can take to keep your family safe – it’s important to focus on the most effective options you have. Modern technology and safe habits can be combined to prepare your family for any emergency. 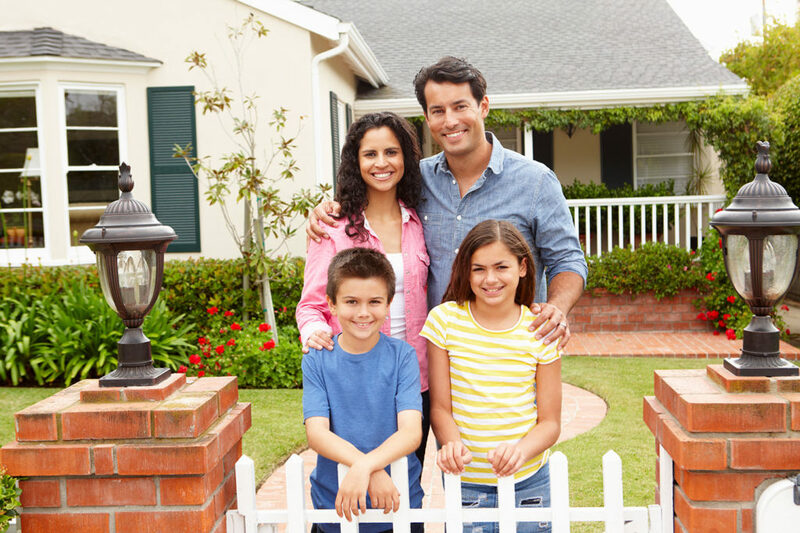 Read on to learn how to best keep your family safe from both common and uncommon risks. The most important thing you can do to keep your family safe is focus on creating a secure home environment. Burglary Deterrent – A security system will significantly decrease the likelihood of your home being targeted by burglars. Home invaders want to go for the easiest targets. When they see you have an alarm, they’ll typically steer clear. Even if they don’t, a monitored security system will allow professionals to identify a break-in and respond immediately. Emergency Response – While DIY security systems can only alert homeowners or those near-by to a breach, monitored security systems have panic buttons to allow you to reach out to the monitoring center instantly. In the event of a fire or other emergency, you can use these buttons when reaching a phone is impossible or unsafe. Peace of Mind – When you’re at work or on vacation, the feeling of being away from your home can cause anxiety. When you have a monitored security system, you will be contacted if anything unordinary happens. This means you can relax and focus on what matters. Active surveillance is a great supplement to a security system. Like an alarm, cameras are an excellent deterrent. Burglars or vandals who see them will steer clear to avoid being recorded doing anything suspicious. Keeping your family safe is far easier when your home is not worth targeting. In the event of a crime, cameras are often the sole lead for police or investigators to use to track down the criminals. Modern cameras are high-definition and are invaluable for identifying suspects. More important, if anything is stolen from your home, identifying the thief is the first step to returning those items. Your security system isn’t your only tool for keeping your family safe. Every home should be equipped with modern smoke and fire alarms. Thousands of homes every year are destroyed due to fires. Modern furniture and construction has dramatically decreased the time you have to escape a burning home. This means early detection is key – which requires regularly tested and intelligently-placed detectors. Home security and disaster preparedness are not the only important aspects to consider for keeping your family safe. Medical emergencies can happen in the blink of an eye, and unfortunately for many, they happen in isolation with no way to contact friends or family. A medical alert device can be a literal lifesaver during these moments. A rescue, which would take 12 or more hours, can instead happen in minutes. The Habitec Security medical alert pendant is a critical tool for protecting your family members who want to be safe but independent. Fires or floods can happen anywhere. If your family experiences one, it’s crucial they know what to do. Start by discussing plans on how to handle an emergency, answering any questions your family may have. Once you have a plan in place, practice it! If you have a home security system but frequently leave it unarmed, it’s not as effective as it could be. Every time you leave the house, make sure you arm the system! This problem is common in households with children, often because your family doesn’t know how to use it. Teach your child how to arm the system – if they’re responsible, you can teach them how to disarm it as well. Basic home security is important to keep your family safe. Home intrusions often happen because the simplest step was skipped – using your locks. An open window and a quick run to a store on a nice day can give intruders a convenient access to your home. Even the best home security habits can’t protect your family from making security mistakes online. Many homeowners are shocked to learn their social media habits can undermine their best efforts at protecting their family. Always remember you can’t control who sees your content online – even if you think you can. Any post you make online can be shared or shown to others, who can then share or show it to even more people. If you make mention you’ll be out of town, you are sharing the perfect opportunity for a burglary. Likewise, you can put your children at risk if you post details about a night out where your children will be home alone. In addition to explaining online security to your child, you must follow these rules too! Don’t overshare online and do your best not to publicly announce anything, which might serve as information for potential thieves. Home Security Cameras – You can use remote access to your security cameras to check in on your family and make sure they’re okay and behaving appropriately when you’re at work late or out on errands. Remote Security System Access – Not sure if your child made it home safe from school? You can use your security system to check in and make sure it was disarmed when they got home. Environmental Monitoring – Be alerted to flooding or carbon monoxide with our environmental monitoring systems. Keep your home safe. If you need a security system for your house or business, our experts can design a system for your security needs and back it with award-winning, 24-hour local monitoring in Ohio and Michigan. Contact us today!